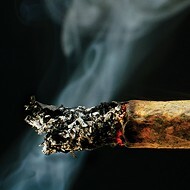 Smoke on the Water: How Will Arkansas' Medical Marijuana Impact Memphis? Dr. Tammy wants you to call it cannabis. Not weed. Not pot. Not dope. She doesn't even want you to call it marijuana, really. She, and a growing number of others nationwide, want you to call it cannabis, like everyone in America did before the 1910 Mexican Revolution. She wants doctors to take weed (sorry) back from Cheech and Chong and dorm-room walls. She wants to put it in the medicine cabinet, where she says it belongs. When Dr. Tammy Post (aka "Dr. Tammy" or even "The Naked Doctor") took the stage at a cannabis symposium two weeks ago, she looked every bit the part of a cannabis-prescribing West Coast physician — blonde hair, gleaming white smile, standing trim and fashionable in a skirt and heels. But Dr. Tammy practices in Rogers, Arkansas, which could be considered, maybe, the west coast of Beaver Lake. "I thought it fitting I got to speak at 4:20 [p.m] today," Post said, rising a laugh and a few hoots from an audience at the Medical Cannabis Patient Health Fair and Symposium in Fayetteville. But that glimpse of cannabis humor was the only one she really gave in an earnest 20-minute talk in which she focused on the cultural stigma surrounding cannabis, a no-no so engrained that patients won't ask for it and doctors won't talk about it, she said. "When I was growing up, [marijuana] was bad," Post said. "How many of y'all have heard about Reefer Madness? How many of y'all are conditioned to believe that it's a gateway drug, that it was the devil, and that if you smoked it, you were going to hell?" Her questions raised a chorus of agreement, even from a crowd gathered at a cannabis symposium. But the fact that there was a crowd, a stage, a speaker, and even a cannabis event in Arkansas at all showed how far that state and its people had come from the "devil's-weed" stigma of cannabis' complicated past. Next year, patients in Arkansas will be able to drive to dispensaries, hand over their prescriptions, and walk away with a bag or a bottle of legal, medical cannabis. It'll be the culmination of a process nearly six years in the making — and a cultural watershed moment for the Bible Belt. Right now, patients, growers, and dispensary owners are lining up to make it all happen. Applications to participate in any of the three facets of the cannabis market are due to state officials next month. It's expected that about 30,000 to 40,000 Arkansas patients will sign up to get legal cannabis. In Tennessee, a task force is set to explore medical cannabis on the equally red state to the east of the Mississippi River. Republican lawmakers pulled a medical cannabis proposal during the Tennessee General Assembly session earlier this year, but the legislators agreed to form the task force, which will soon travel the state to introduce the idea and hear from Tennesseans. In the meantime, many here — and around the country —will be watching the Arkansas experiment to see if it could be a proving ground for other holy rollin' Southern states to green light the green stuff. How Did it Happen in the Natural State? Initially, few thought medical marijuana legislation had a shot in hell in Arknasas. For one thing, the Natural State loves Jesus: 77 percent of Arkansans believe in God, and 79 percent of those are Christians, according to a recent survey by the Pew Research Center. So, it was no surprise that social conservative groups took a strong negative stand when medical cannabis was first on the ballot in Arkansas in 2012. The Family Council, a conservative think tank based in Little Rock, launched a multi-pronged attack against the measure, calling it a "backdoor effort to legalize marijuana across the state of Arkansas." Groups fought the 2012 measure all the way to the Arkansas Supreme Court, which ruled in September (just before the November vote) that the marijuana measure could be placed on the ballot. The 2012 measure failed at the ballot box, but only by a slim 49 percent-51 percent margin, which gave hope to cannabis proponents. The cannabis question simmered in the state for four years. Then, in 2016, a flurry of lawsuits, two competing ballot initiatives, think pieces, op-eds, court rulings, political wrangling, and a lot of general hand-wringing produced an initiative that went on Arkansas' November ballot, the same one in which voters pulled the lever for either Hillary Clinton or Donald Trump for president. Arkansas Governor Asa Hutchinson, who led the federal Drug Enforcement Agency under President George W. Bush, opposed any cannabis-legalizing legislation in his state. He said it was "not best for patients" and that the U.S. Food & Drug Administration — not Arkansas voters — should decide. "We don't vote on cancer cures, and we should not set a new pattern of determining what is good medicine at the ballot box," Hutchinson said at the time. Still, there was plenty of support for medical cannabis. 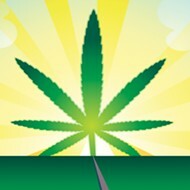 The Arkansas Medical Marijuana Association (AMMA) was established to organize legislative efforts. Patient groups, such as Arkansans for Passionate Care, provided patient stories to extoll the virtues of cannabis in pain management and as an effective alternative to opioids. In the end, voters approved the Arkansas Medical Marijuana Amendment of 2016 by another narrow margin: 53 percent approved it; 47 percent were opposed. The margin was wider in Crittenden County, right across the river in West Memphis, where 61 percent of voters approved the measure and about 39 percent opposed it. 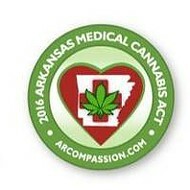 The Arkansas Medical Marijuana Amendment was added to the state's Constitution on November 9, 2016. That seemingly simple change meant a lot of work needed to be done prior to any Arkansan taking their first legal dose of cannabis. The Arkansas Medical Marijuana Commission (AMMC) was established — a board that includes politician-appointed doctors, pharmacists, lawyers, and others. The board worked to establish and refine the rules of the state's medical cannabis program. In July, the board opened applications for the program to patients, growers, and prospective dispensary owners. Arkansas law will allow five cultivation facilities (cannabis grow operations) in the state. The commission is accepting applications for 32 dispensaries across the state. The commission created eight zones statewide, with each zone getting four dispensaries. The zone closest to Memphis stretches from the Missouri boot heel to Crittenden County. Arkansans will get their cannabis registration cards as soon as dispensaries are approved, established, and ready to sell. State officials said that could be early 2018. Some cities, such as Hot Springs and Siloam Springs, have opted out of the dispensary program. 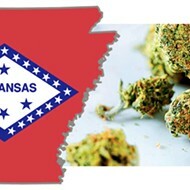 Cannabis sales in Arkansas could grow from $3.1 million in 2019 to more than $67 million in 2025, according to recent research from Washington, D.C.-based New Frontier Data. Early tax revenue projections found the program would likely generate around $2.5 million in state tax revenues, though that number got a boost recently, as lawmakers levied a new, 4-percent privilege tax on growers and dispensary owners. "We do not anticipate any effects in Memphis related to Arkansas' medical marijuana program," Sgt. Karen Rudolph, MPD's public information officer, said, in an email. The Shelby County Sheriff's Office concurs with MPD's assessment. 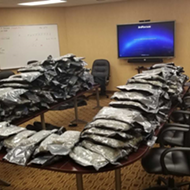 "Arkansas is going to be tremendously different than in Colorado, where you can have two pounds of [cannabis] for recreational use," said Earle Farrell, SCSO's public information officer. "It will be for medicinal uses only," Farrell added. 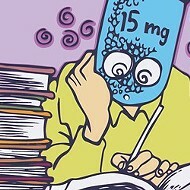 "People who do get it have to have prescriptions. It'll be small, controlled amounts and won't be in suckers, and brownies, and ice cream, and soups, and nasal sprays, and all the rest of things people are putting [cannabis] into." Cannabis is illegal in Shelby County and in Tennessee. Farrell said if someone is caught here with cannabis they bought legally in Arkansas, they will be arrested. If you get cannabis legally in Arkansas or Colorado or any other cannabis-friendly state, Farrell said, don't bring it home. SCSO officers have flown to Colorado, Farrell said, to get a first-hand look at that state's cannabis program and the legal and illegal cannabis that fuels it. Some of that cannabis has shown up here, Farrell said, and it's the Colorado's recreational-use laws that make its borders leakier than states that have medical-cannabis-only laws. 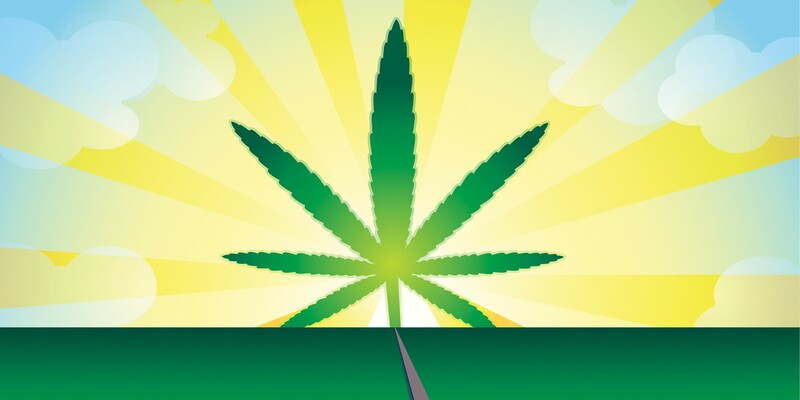 But medical cannabis programs can have positive effects on bordering areas without legal marijuana laws, according to a recent study by researchers with Norwegian School of Economics and the Pennsylvania State University Department of Sociology and Criminology. That study, published in The Economic Journal, found that cannabis reforms in U.S. states that border Mexico have reduced violent crime. Further, "we find that [medical marijuana laws] in inland states lead to a reduction in crime in the nearest border state." For their findings, researchers used crime-tracking data from the FBI's Uniform Crime Reporting Program. John Marek, founder and former president of the Memphis chapter of the National Organization for the Reformation of Marijuana Laws (NORML), said Arkansas will have a rigid seed-to-sale tracking system in place to keep its legal cannabis out of the black market. "That being said, it would be impossible to guarantee that a limited number of patients would not illegally transport their medicine to other states," Marek said. "We strongly encourage people not to break the law. Our goal is to change the law, not to break the laws in place." Ninth District Congressman Steve Cohen sponsored medical marijuana legislation in Tennessee while he was a state senator in the 1990s. Back then, his was a lonely voice in a dark wood. But now new voices — even some conservative voices — have picked up the song and proposed cannabis legislation is finding its way to the holy floors of Tennessee's state house on a nearly annual basis. In 2014, Democratic lawmakers brought the Koozer-Kuhn Medical Cannabis Act to Nashville. It failed, but not before Toni Corbin and her adult son, Wallace, appeared before a House subcommittee. In archived video of the testimony, Wallace sat mute and motionless in a wheelchair, a Tennessee Titans scarf wrapped under his bearded face, and a Florida Gators blanket covering his body. "Wally wants me to tell you two things," his mother, Toni, began. "He just wants to feel human again. And he wants you to know that he's a Christian. He wants you to think about this when you go to bed tonight, when you tuck in your children, and kiss your wife. "If God made this cannabis plant, and God made us with cannabis receptors in our body, naturally, then, maybe, God has a plan. Who are we to question and interfere with God's plan?" 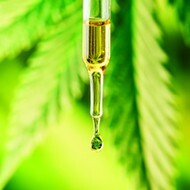 The door cracked slightly open on medical cannabis in 2015, when lawmakers legalized the use of cannabis oil, mainly for seizures and epilepsy, and only with the permission of a doctor. It scared the bejesus out of many social conservatives who proclaimed that full-on medical cannabis was next and that recreational cannabis would inevitably follow. Republican Governor Bill Haslam tempered those fears, noting he didn't see a "big chance" for medical cannabis legislation to ever pass. Then-Lieutenant Governor Ron Ramsey (R-Blountville) said legislation would have "tough sledding" in the legislature. The comments came after Tennessee Department of Health Commissioner John Dreyzehner said medical cannabis would do more harm than good in the state. Even so, Republican leaders rolled out medical cannabis legislation the very next session, but it was immediately criticized by cannabis advocates. That 2016 bill put up high financial barriers on anyone wanting to get involved in medical cannabis in Tennessee. In addition, cannabis patients would have had to give up their driver's license while under cannabis treatment. If they were discovered operating a vehicle, their cannabis card could be revoked. In the 2017 session, state lawmakers took a tougher stance on cannabis, passing bills that nullified city ordinances passed by the Memphis City Council and the Nashville Metro Council that lowered penalties on certain kinds of cannabis possession. Memphis council members said lowering the penalties would alleviate pressure in the city's criminal justice system and resultant financial burdens on African Americans, who are busted for cannabis in Memphis more often than whites. State lawmakers argued that state law trumps city law. "This is not about one city, one county, or one district," said Representative William Lamberth, (R-Cottontown), the nullification bill's House sponsor. "This is about making sure it is consistent statewide." The nullification measures easily passed both chambers. Haslam signed the bills, which could have passed without his signatures. Asked why he signed them, a spokesman in his office at the time suggested Haslam simply followed the will of the legislature. While that anti-cannabis issue roiled, two pro-medical cannabis bills were working their way through the capitol. One, called the Medical Cannabis Access Act, was sponsored by Democratic lawmakers, Representative Sherry Jones of Nashville and Senator Sara Kyle of Memphis. It quickly died. Another was sponsored by Republican lawmakers Representative Jeremy Faison of Cosby and Senator Steve Dickerson of Nashville. It was put out to "summer study," which is usually General Assembly code for "we're not going to pass this legislation this year and we hope no one brings it up ever again." However, Dickerson and Faison pushed for a real summer study and convinced their colleagues to form a task force on the medical cannabis issue in Tennessee. So far, task force meetings have been loosely scheduled for stops in Nashville in September, Knoxville in October, and Memphis in November. Faison said the meetings should be open to the public as a means of hearing from constituents. Faison was more or less the face of medical cannabis in the state house this year. "Often, when I'm at home at the grocery store, I'll get the questions: 'Jeremy, aren't you a Christian? Aren't you the worship leader at your church?'" Faison said during a March meeting of the House Criminal Justice Subcommittee. Faison told House members that "civilized groups of people" have used the cannabis plant for "almost 4,000 years." Military veterans, "who have given the best of their physical health and their mental health for your freedom and for my freedom," are using large amounts of opiates and other drugs, but some are choosing to move to "cannabis-friendly" states. Faison said there was a "mountain of evidence" showing that cannabis can help very sick children: "Children that modern medicine has failed are finding life with the medical use of this plant." Constituents across Tennessee, he said, want to get off opioid prescription drugs for fear of addiction and, with cannabis, are "either breaking the law right now, or they really want to break the law." When it came to the THC, the chemical compound in cannabis responsible for euphoric highs, Faison said "that's what God allowed in the plant." Speaking of God, Christian singer/songwriter Gary Chapman added some heavenly star power (which probably goes a long way with the Tennessee legislative set) to the medical cannabis issues this year. Standing at a news conference with Dickerson and Faison, Chapman tried to dispel the idea that "you're in the music business, right? So, everybody's smoking weed." "Don't get lost in the fight about [marijuana as] a gateway drug and all that crap," Chapman said. "That's just not what this is about. This is about helping people. If you can help someone who is needlessly suffering and you don't do it, it's wrong. Plain and simple." Chapman also announced on Facebook in July that his son was involved with a business called TenneCBD, which makes "fine hemp products," cannabis oils. Will medical cannabis ever come to Tennessee? That's unknown. But those pushing for it point to poll numbers from Middle Tennessee State University that said about 70 percent of Tennesseans polled believed cannabis should be either legalized totally or, at least, for medical use. 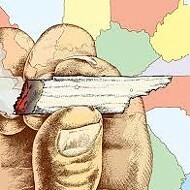 A Vanderbilt University poll found about 75 percent of Tennesseans were ready for some sort of legalization. "Tennesseans are ready, if you poll them," Faison said. "But the General Assembly is not there yet." Recreational cannabis has been legal in Oregon since 2015. Portlanders talk about it like they do fine wine or craft beer. And they call it cannabis. They've moved ahead in cannabis culture and that culture has largely moved away from the word "marijuana." Cannabis more scientifically describes the plant, they say. And the word "marijuana" has a dark past. The dominating origin story concerns Mexican refugees fleeing to the U.S. during the Mexican Revolution in 1910. They brought cannabis and the word "marijuana" with them. Many Americans feared and disliked these refugees. Sound familiar? To marginalize the group, locals targeted their foreign-sounding drug, "marijuana." Bans on the drug began popping up in border states. The word had a foreign sound to it, and it was used as an us-against-them wedge for law enforcement. Harry Anslinger, the first commissioner of the Federal Bureau of Narcotics, called the drug "as hellish as heroin" and played the racism wedge hard. "Reefer makes darkies think they're as good as white men," Anslinger said, according to a 1998 book by Mike Gray called Drug Crazy. "The primary reason to outlaw marijuana is its effects on the degenerate races ... most are Negroes, Hispanics, Filipinos, and entertainers. Their Satanic music, jazz and swing, result from marijuana use. 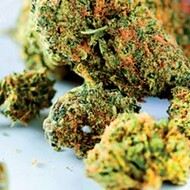 This marijuana causes white women to seek sexual relations with Negroes, entertainers, and any others." Thus, "cannabis" is the preferred terminology, thank you. That's, in part, why Dr. Tammy Post doesn't want you to call it marijuana. She's woke to "cannabis." She wishes lawmakers were, too, even though they chose to call it the Arkansas Medical Marijuana Commission. But she's willing to be patient. "I do believe over time ['cannabis'] is going to become more widespread as more people acknowledge cannabis as medication," Post said. 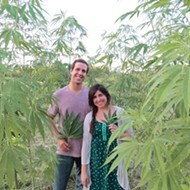 "People will understand as the stigma goes down that this plant has literally hundreds of different medicines in it." CBD is Legal: Does It Work? Is It Safe?